The Dog Park is a beautiful area capable of accommodating large and small breed dogs. 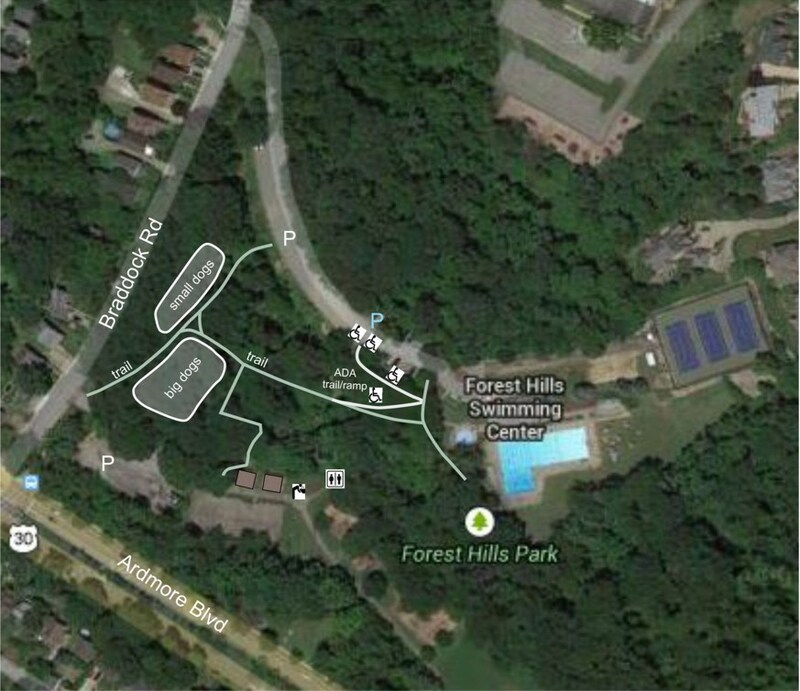 Located within the main Forest Hills park off of Ardmore Boulevard, it was officially opened May 1, 2017 and dedicated on July 4, 2017 during a ribbon cutting ceremony. Please take the opportunity to visit and enjoy the park with your favorite canine friend or on your own to watch our furry friends enjoy some play time in the park!